Salo is a town and municipality of Finland.It is in the province of Western Finland and is part of the Southwest Finland region. When in Salo, make a side trip to see Hiidenlinna & Sisumetsan Seikkailupuisto in Somero, approximately 1h 25 min away. There's much more to do: sample the tasty concoctions at Mathildedalin Kylapanimo, revel in the low prices at Muurla Design Marketing Oy, and don't miss a visit to Mathildedalin Ruukkitehtaat. To find other places to visit, where to stay, photos, and more tourist information, refer to the Salo road trip planning website . London, UK to Salo is an approximately 9.5-hour flight. You can also drive. Due to the time zone difference, you'll lose 2 hours traveling from London to Salo. Expect little chillier evenings in Salo when traveling from London in August, with lows around 12°C. You'll set off for Pernio on the 7th (Wed). Perniö is a former municipality of Finland. You'll explore the less-touristy side of things at Teijo national park and Ruukin kehräämö ja puoti Oy. For traveler tips, ratings, reviews, and other tourist information, read our Pernio online trip itinerary planner . You can drive from Salo to Pernio in an hour. In August, daily temperatures in Pernio can reach 24°C, while at night they dip to 12°C. You will leave for Rosala on the 10th (Sat). Get some cultural insight at Bengtskar Lighthouse and Rosala Viking Centre. To see where to stay, ratings, and tourist information, refer to the Rosala trip planner . Traveling by car from Pernio to Rosala takes 2 hours. In August in Rosala, expect temperatures between 23°C during the day and 12°C at night. On the 13th (Tue), you'll travel to Parainen. Pargas is a municipality of Finland, in the Archipelago Sea. Discover out-of-the-way places like Pargas Lime Stone Quarry and Pargas Church. Satisfy your inner culture vulture at Kuusisto Bishop's Castle and Pargas / Parainen Local History Museum. There's more to do: identify plant and animal life at Lenholm Conservation Area and make a trip to ArtBank. To find maps, photos, traveler tips, and tourist information, read Parainen trip website . You can drive from Rosala to Parainen in 2.5 hours. In August, daytime highs in Parainen are 23°C, while nighttime lows are 12°C. You'll set off for Nagu on the 17th (Sat). Do some cultural sightseeing at Nagu Church and Maritime Exhibition Sjofartshuset. To see ratings, maps, traveler tips, and more tourist information, read our Nagu online itinerary planner . You can drive from Parainen to Nagu in an hour. In August, daytime highs in Nagu are 23°C, while nighttime lows are 12°C. You'll set off for Korpo on the 20th (Tue). You'll discover tucked-away gems like Korpo Church and Jurmo Island. Plan my trip to Korpo with suggested itineraries provided by Inspirock. You can drive from Nagu to Korpo in an hour. In August, daytime highs in Korpo are 23°C, while nighttime lows are 12°C. On the 23rd (Fri), you'll travel to Uusikaupunki. Explore hidden gems such as Automobile Museum and Uusikaupunki Old Church. Get in touch with nature at Isokari Lighthouse and Katanpaa. Plan my Uusikaupunki trip by asking Inpirock to come up with tips and suggestions. You can drive from Korpo to Uusikaupunki in 3.5 hours. Expect a daytime high around 23°C in August, and nighttime lows around 12°C. You will leave for Pietarsaari on the 27th (Tue). Get some cultural insight at The Finnish Museum of Agriculture and Alpo Jaakola Statuary Park. For other places to visit, reviews, maps, and tourist information, refer to the Pietarsaari online road trip planner . Traveling by car from Uusikaupunki to Pietarsaari takes 1.5 hours. August in Pietarsaari sees daily highs of 24°C and lows of 12°C at night. You'll set off for Turku on the 31st (Sat). Visiting The Archipelago Trail and Ispoinen Beach and Sauna will get you outdoors. Explore hidden gems such as Uto and Vepsa Island. 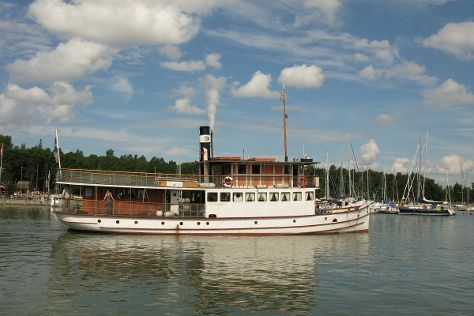 Venture out of the city with trips to Louhisaari Manor (in Askainen) and Vaski Adventure Island (in Naantali). Next up on the itinerary: explore the historical opulence of Turku Castle, examine the collection at Kylamaki Village of Living History, take a stroll through Naantali Old Town, and get your game on at Moomin World. To see more things to do, where to stay, and other tourist information, read our Turku driving holiday tool . Traveling by car from Pietarsaari to Turku takes an hour. In August, plan for daily highs up to 23°C, and evening lows to 12°C. Wrap up your sightseeing on the 8th (Sun) to allow time to drive to Kimito Island. To see reviews, ratings, maps, and more tourist information, go to the Kimito Island trip builder website . You can drive from Turku to Kimito Island in 1.5 hours. Alternatively, you can take a bus. In September in Kimito Island, expect temperatures between 19°C during the day and 7°C at night. You will leave for home on the 12th (Thu).